There’s only one thing that Freddie loves as much as football: history! Every time she and her trusty companion Fumble the Dog visit a new city, they set out to learn all about the city and its history before cheering on the home team! It’s game day in Philadelphia! 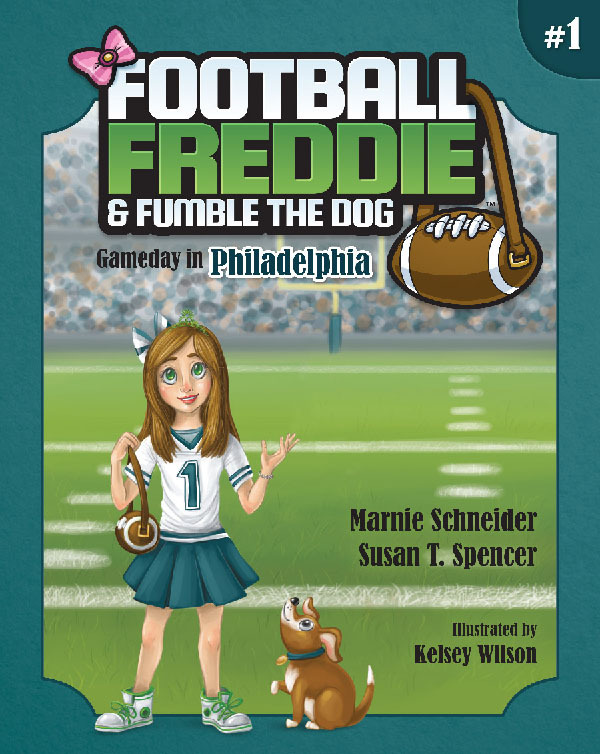 Football Freddie and Fumble are on their way to Lincoln Financial Field to cheer for the Eagles. But first, they’ll make a couple of stops at the Liberty Bell, Independence Hall, and other historical locations to learn everything they can about The City of Brotherly Love. Come along and cheer with Freddie and Fumble for Philadelphia!